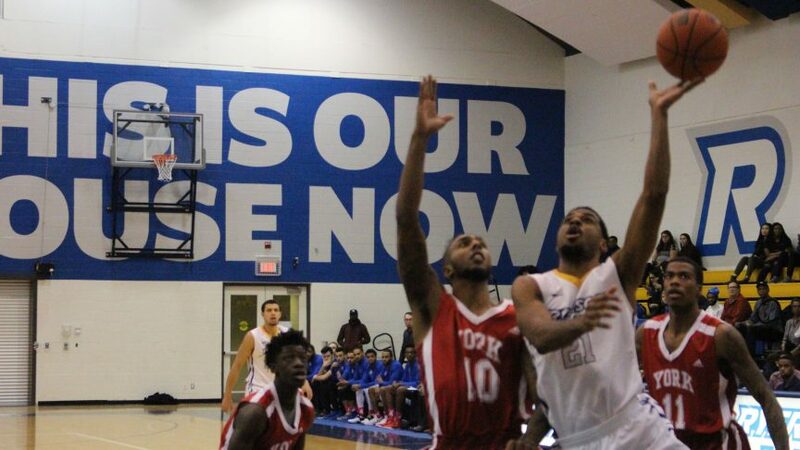 Coming off their first loss of the season against Brock last week, Ryerson’s men’s basketball team rebounded with a decisive 79-53 win against the York Lions at the Mattamy Athletic Centre on Wednesday night. The win bumps Ryerson’s record to 14-1 and gives the Rams a 10-point lead over Toronto (9-5) for top spot in the OUA East. York falls to 4-11 and remains last in the division. The Rams used an impressive defensive performance to go up big early, outscoring the visitors 42-16 in the first half. York made less than 23 per cent of their field goal attempts (6-27) and shot four of 16 from beyond the arc in the first two quarters. The Lions didn’t have a free throw until the third quarter. 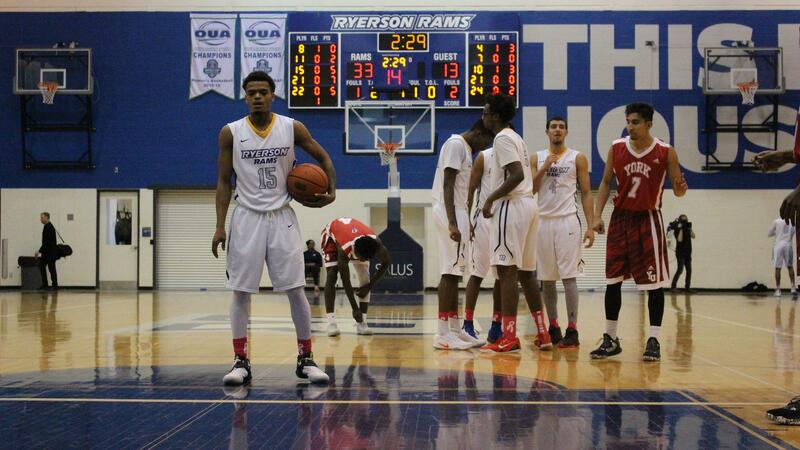 Senior guards Adika Peter-McNeilly and Ammanuel Diressa led the Rams offence with 20 points apiece. Peter-McNeilly and Keevon Small each had nine of their team’s 43 rebounds, one of the few areas the Lions prevailed in with 47 boards of their own. Seven of the 10 Rams who played had at least one steal, and Ryerson forced 21 York turnovers while surrendering just nine of their own. The Lions had some late momentum, outscoring the home team 17-16 in the fourth quarter, but a poor first half proved too much to overcome. UP NEXT: The Rams host divisional rival Queen’s at the Mattamy Athletic Centre on Friday, Feb. 3 at 8 p.m.